A young boy’s eight year wait for a super-rare kidney donor is over after his tireless mum beat astonishing odds to find a ‘spare one’ from a stranger – on FACEBOOK. Matthew Pietrzyk [CRRCT], 11, was born with a genetic disorder which means his faulty kidneys get rid of protein that would normally transport fluids around his body. 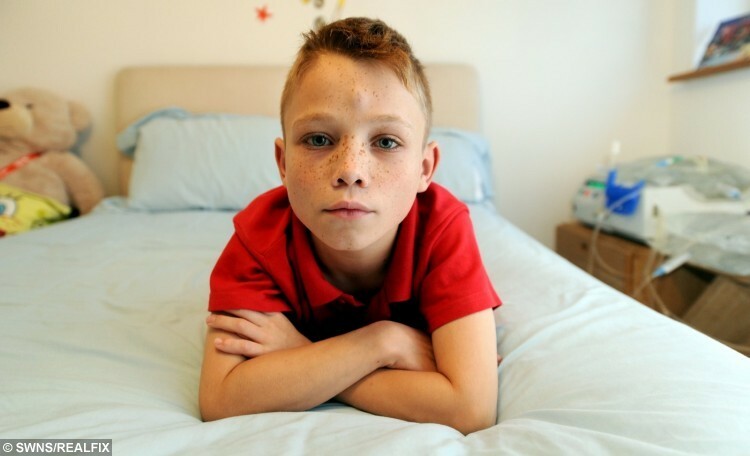 He had a transplant from mum Nicola in 2008 but it failed and he has been without either kidney for four years, leaving him dependent on exhausting dialysis. Matthew Pietrzyk from Glenfield, Leicester. Matthew has become antibody sensitive which rules out 99 per cent of the UK population and put his chances of finding a match at one in 650,000. For the last three years devoted Nicola has led a relentless campaign to find a donor for her son, called ‘A Million Likes for a Kidney for Matthew’. She reached hundreds of thousands of people around the world with ‘adverts’ on Facebook, Twitter campaigns and photos of Matthew’s own messages. Her global quest was spotted by stranger Edward Batch, who by chance lives just a few miles from the family’s home in Glenfield, Leicester. He messaged Matthew’s dad Craig on Facebook offering his ‘spare’ kidney – even though he had never met the youngster. Dad-of-three Edward, 38, proved to be a perfect match and the transplant took place two weeks ago and both are now recovering well. Grateful Nicola, 37, said: “We cannot find the words to thank Edward enough. “He told us he is not a hero, he was just the right person, but he is our hero. “Without his selfless act and the support of his family this would not have been possible. She added: “Edward came forward after seeing our appeal for people to wear pink vests in the Leicester marathon to raise awareness of organ donation. “Craig had also been posting on running sites asking people to wear the vests. “Edward offered to get tested a year ago but we didn’t find out until May that he could actually donate. “A lot of planning had to go into the operation to make sure that Matthew doesn’t reject the kidney. 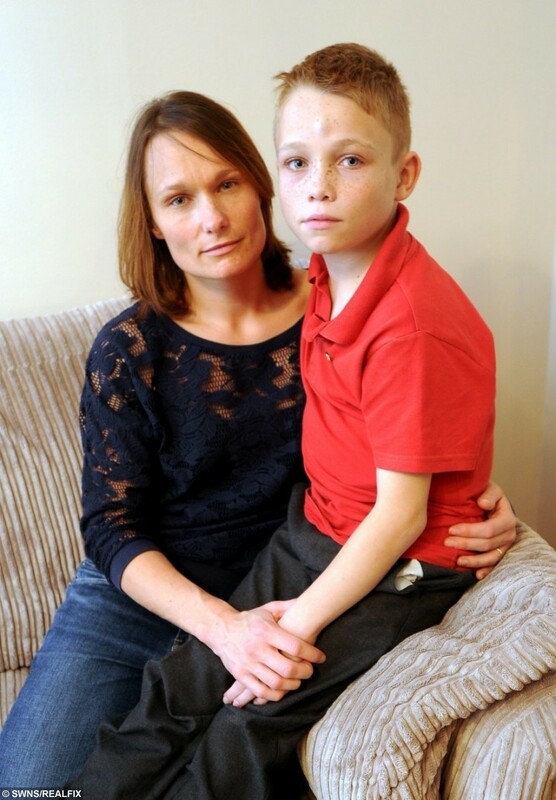 “This time last year was the worst time we have ever had when tests showed that the chance of finding a suitable match for Matthew was put at 1:650,000. Modest Edward, who has three sons aged four, nine and 13, said: “I agreed to do it but then thought I’d better look into it further. “I’ve always carried an organ donor card but I didn’t know anything about live donation, I had never really heard of it. “It was a sort of throw away remark but I said to Craig something like ‘I’ve got two kidneys, you can have one. “I knew that the chances of my being a match to Matthew were slim but if it wasn’t a match for him it would be for someone else. I just knew that I was going to be a donor. Matthew was born with congenital nephrotic syndrome which means his faulty kidneys get rid of protein through his urine. Edward Batch from Hinckley, Leicestershire, who is recovering after donating a kidney to Matthew Pietrzyk. 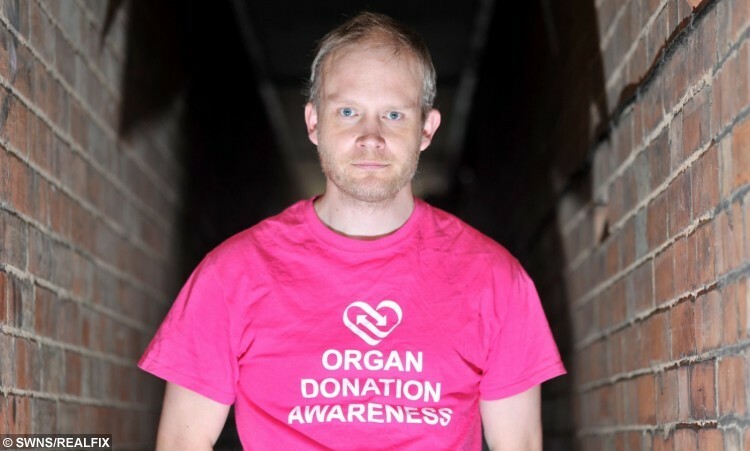 He had his first kidney removed in October 2007 to prepare him to receive one from his mum which he had in January 2008. But the new kidney failed immediately and he was put on the national waiting list, along with hundreds of other children. His second kidney was removed by the time he was six to help ease his condition, and ever since he has endured 12-hour dialysis treatment every day. His entire family were tested, but Nicola found out none were a close enough tissue match, so took to the internet to widen the search in 2013. The mum, who has two other sons, made TV appeals, set up a Facebook page, made a Twitter account, approached celebrities and filmed video clips. The family, including Craig, took part in charity runs with Matthew’s appeals on their t-shirts, and dozens of people were personally tested to see if they matched. Edward, from Hinckley, Leics., saw a Facebook appeal from the family asking runners in the Leicester marathon to wear t-shirts highlighting Matthew’s plight. The health food shop manager sent a message back saying: “I don’t know if it’s as easy as this so excuse my ignorance but I have a spare kidney if it helps. 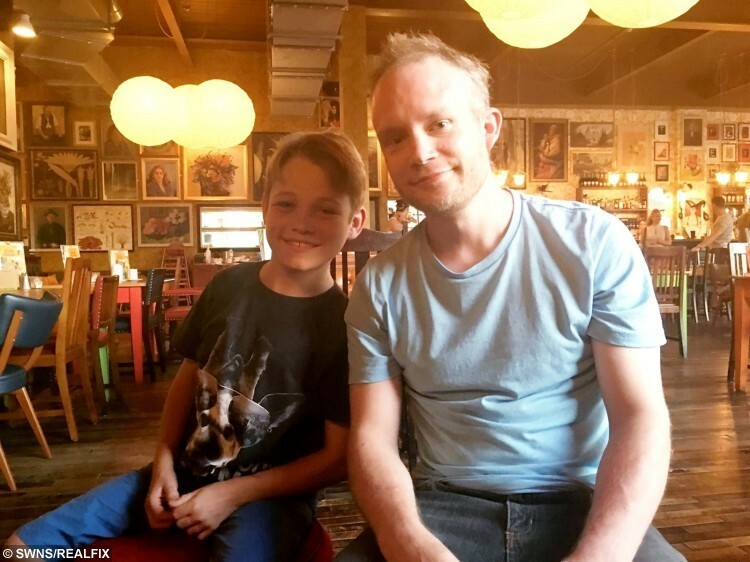 After a year-long wait, medics confirmed he could donate to Matthew in May, and they met for the first – and last – time a week before the operation. Matthew got his new kidney at Birmingham Children’s Hospital on July 28, and Edward is already at home recovering. Nicola announced the news on Tuesday night – on Facebook. 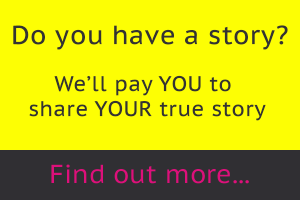 She said: “After an 8 year wait on the UK donor register you can imagine our surprise to actually discover someone that matched Matthew and lived local! “We are almost at the 2 week post operative point and Matthew is still considered high risk for rejection, however so far so good, his levels are up and down but that’s to be expected. “Without Matthew’s donor’s selfless act and the support of his family this would not have been possible. “I cannot think of a better way to round up this post other than to say…….